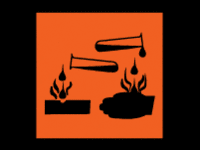 Test yourself: Are you familiar with hazard symbols? 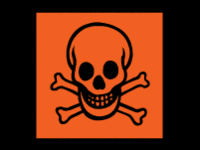 Things can go completely wrong if you do not take precautionary measures when using hazardous substances on site. Test yourself and find out whether you can tell the difference. Products labelled with the skull and the letters Tx are very toxic. Be sure to find out what personal protective equipment you have to use. But best of all, find another product. Products labelled with the skull and the letter T are toxic. Think about what personal protective equipment you need, and try to find a substitute (another product) that is less hazardous. Must not come into contact with the skin. The black cross with the letters Xn means that the product is harmful to health, and that you should always protect yourself against coming into contact with the product. Try to find a less hazardous product. The symbol showing a dripping test tube means that the product is corrosive. Therefore, you must never allow the product to come into direct contact with your skin. 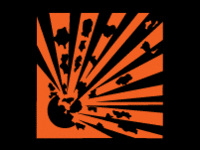 When the product is labelled with a black ball exploding, this means that the product is explosive, i.e. that it readily explodes in air. There are not many explosive products, but research the situation thoroughly if you encounter one that is. The flames with the letters Fx mean that the product is extremely flammable. This means that there may be a risk of it igniting at high temperatures without a spark being present. Pay attention to how the the product is stored. 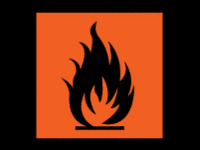 The flames with the letter F mean that the product is highly flammable. Keep all forms of open flame or sparks away from the product. Also remember that defective cabling and some machinery can cause sparks. 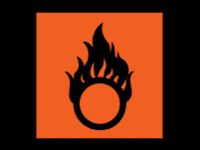 The round ring burning with the letter O means that the product is oxidising. That is to say, it is not flammable in itself, but it must be kept away from flammable products as it will feed a fire if the product catches fire. 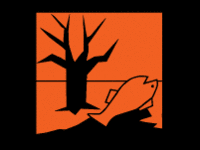 Labelling products with the withered tree and a dead fish means that they are hazardous to the environment. Therefore, you must make sure they are not able to escape into the environment; but if they do, special rules must be brought into play. 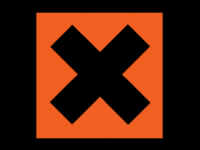 The black cross with the letters Xi means that the the product is an irritant. That is to say, if it is touched or inhaled, it may cause stinging, itching or redness on the hands or body or in the eyes or airways.